MPlayer Portable is a useful software for user. It can help you play all the films. Besides, it provides the right codec every time you open a media file on PC. MPlayer Portable may not be the most attractive player in the world, but like in VLC Media Player, this little app hides a great potential under its dull design. With MPlayer Portable you won't have to cross your fingers & hope you have the right codec every time you open a media file. 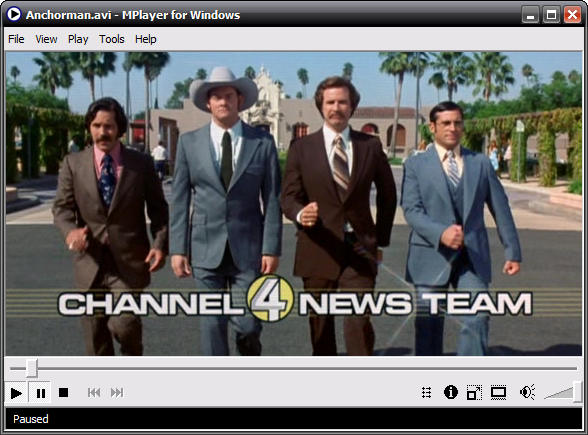 MPlayer Portable is the popular MPlayer media player packaged as a portable app. ...... file on your computer. This simple yet great media player supports more than 192 video and 85 audio codecs natively, which means it'll probably be able to open just about anything you throw at it. And you can carry it anywhere with you on your USB drive! Like I said, the interface in MPlayer Portable is not exactly brilliant. It's quite basic, almost minimalist. But the program includes a plethora of great features to make up for it: fast response when playing videos, very low on system resources, support for subtitles, ability to take screenshots and much more, plus an extensive support for keyboard shortcuts. Easy enough for newbies, powerful enough for experts, MPlayer Portable is an excellent media player with support for literally hundreds of audio and video formats. Qweas is providing links to MPlayer Portable 1.0 RC2 as a courtesy, and makes no representations regarding MPlayer Portable or any other applications or any information related thereto. Any questions, complaints or claims regarding this application MPlayer Portable 1.0 RC2 must be directed to the appropriate software vendor. You may click the publisher link of MPlayer Portable on the top of this page to get more details about the vendor.